Parivartan Training Center of Door Step School, Pune, was formally started in year 2007 to cater to internal needs of training newly recruited teachers. Over the years, it has evolved to be a comprehensive training center to offer training to entire DSS staff including teachers, Supervisors, Coordinators and Directors. It also provides soft skills training, refresher training and skill upgrading training. Today it not only caters to the internal needs to the organisation, but also provides training to other NGOs and government schools staff. During the period Feb 21st to Feb 28th, exhibition on "Ideal Classroom" for construction sites was presented in DSS training center. 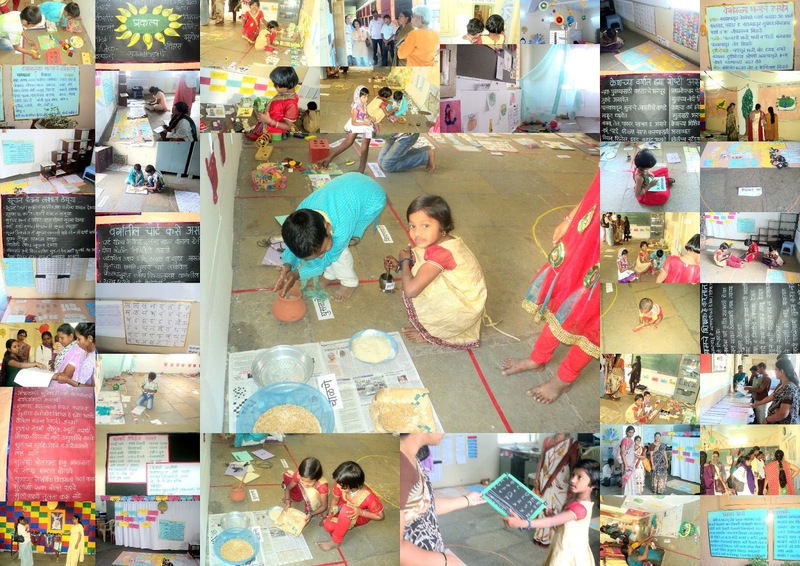 Three different classrooms, creche, pre-primary and study classes were presented in this exhibition. For each type of class, various teaching aids, books, and other teaching material such as charts, toys etc were displayed. Information about these things and theory behind each display was also presented on charts in each classroom. Over 500 people from various NGOs, government schools, teachers' training institutes and D.Ed colleges visited the exhibition, along with DSS staff. The presentation of material and information displayed was well appreciated by all attendees which was evident from the fact that many people came prepared to take notes from the displays. This exhibition has been part of annual exhibition series presented by DSS training center since past 3 years.